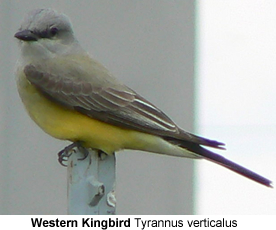 The Western Kingbird, Tyrannus verticalis is a large tyrant flycatcher. 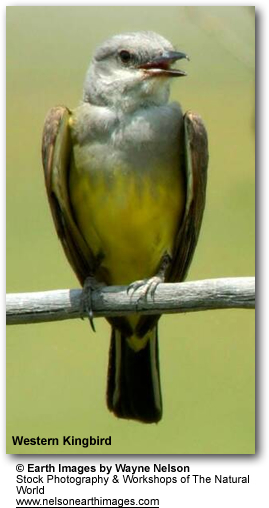 The name kingbird is derived from their "take-charge" behavior. These birds aggressively defend their territory, even against much larger birds such as hawks. Their breeding habitat is open areas in western North America. They make a sturdy cup nest in a tree or shrub, sometimes on top of a pole or other man-made structure.